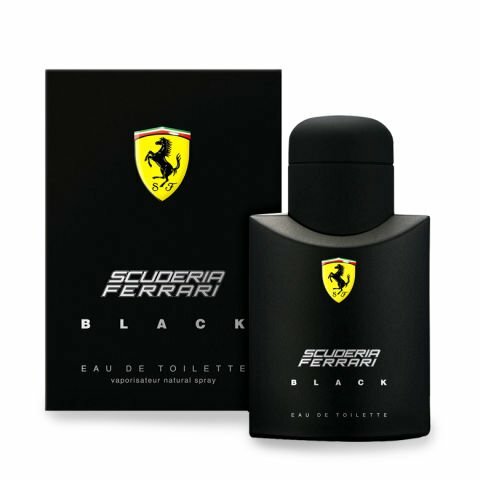 Scuderia Ferrari Black is an eau de toilette full of energy, just like its matt-black packaging. The power of Ferrari adds mystery and strength to the free-spirited and sensual man. Send this spectacular fragrance today and make him feel more powerful than ever. Top notes: Bergamot, Lime, Red Apple. Heart notes: Cinnamon, Jasmin, and Rose. Base notes: Amber, Cedar wood, Crystal Moss. An exciting fragrance of citric aromas, perfect for everyday wear. That is Scuderia Ferrari Black, created for the man full of vitality, and with a touch of mystery. If you want to give him a surprise on a special occasion, send him this powerful fragrance!